The furniture pieces presented in this website are original designs. My furniture incorporates details and forms gained from years of work and study in a wide range of furniture periods and styles. While I am comfortable working in many styles I find myself routinely drawn to and influenced by the masters of Modern Scandanavian and Art Deco furniture. In addition, a great deal of insight has been amassed from the many talented architects and designers with whom I have had the opportunity to work with throughout my career. It is of paramount importance to me that a piece of custom furniture project an elegance when viewed from all angles. The chairs in particular have been through a scrupulous prototyping process to establish both ideal comfort and artistry. During the design process the many styles and design elements that have been explored suggest possibilities for future pieces. As you view the photographs please bear in mind that the piece(s) you order can be modified to suit your individual taste and preferences. You will have the opportunity to select among a variety of hardwoods and/or veneers, propose variations in sizing and opt to fine-tune a piece to be uniquely your own. All furniture is meticulously crafted and produced with the use of both modern and traditional woodworking techniques. 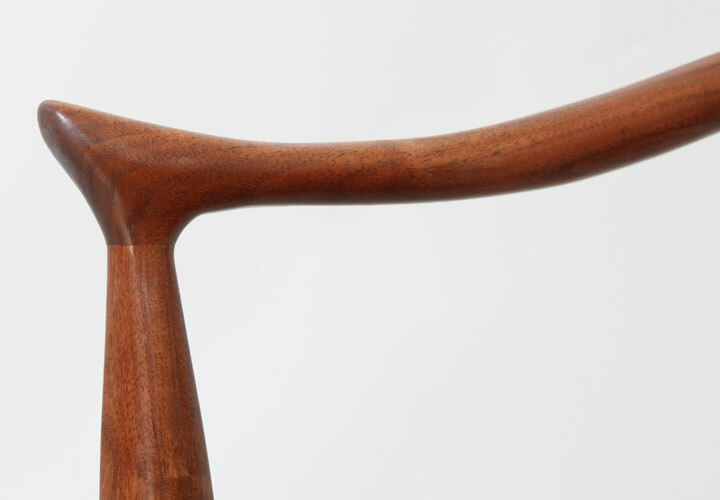 Exacting joinery and carefully handshaped elements are evident in everything I make. Each piece is signed and dated upon completion. I look forward to working with you to create your own unique piece of furniture.